What Is A ‘Foam Roller’ And How Can It Relieve Muscle Tension? 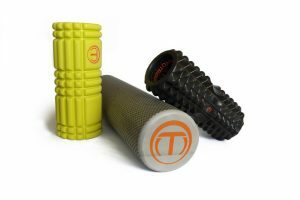 A foam roller is a tool used to engage in self-myofascial release; an elaborate way of saying ‘self-massage’. Usually taking a cylinder shape to allow for concentration on pretty much any part of the body, foam rollers are available in a wide variety of densities, lengths, and firmness which can be used depending on the level of tension in the muscle. However, the art of self-massage can be also done efficiently using a tennis or lacrosse ball, or Theracane. Primarily used as a recovery method by sports coaches and professional athletes, foam rolling has hit the mainstream as a tension relief for muscle injury, pain, and stress. Many believe that using a foam roller looks silly or useless, however the long-term benefits of self-myofascial release are proven and can result in stress relief, improved flexibility, accelerated recovery from injury and higher performance. In terms of relieving muscle tension, foam rolling can be carried out before, after, and during physical activity, but is typically done prior to stretching. Although stretching can prevent a build up of lactic acid and increase blood flow to the muscles, doing this alone is insufficient in ironing out tension and knots. Imagine an elastic cord with knots tied into it. Now pretend that the cord is being stretched without undoing the knot; what happens? The wire extends but the knot remains. Applying pressure to the knot and attempting to massage it back into a normal position then stretching will help blood flow return to its usual function. You should always consult a medical professional or your local GP before engaging in self-massage methods. If you suffer from chronic pain in the muscles of your body or have tried foam rolling in order to relieve the tension, Morley Chiropractic Clinic have a wide range of rehabilitative methods tailored to tense muscle tissues. Call us on 0113 2383693 if you have any specific questions about foam rolling or any of our chiropractic services.